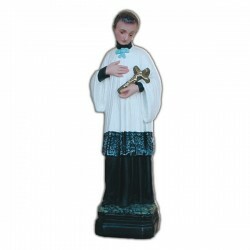 Hand-painted resin and fiberglass statues of Saint Aloysius Gonzaga of various sizes. 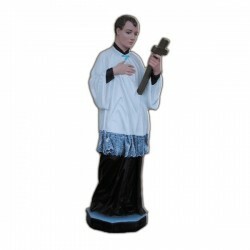 SAINT ALOYSIUS GONZAGA There are 5 products. 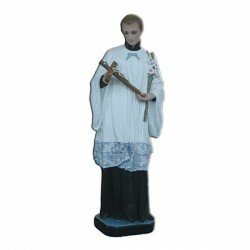 Statue of Saint Aloysius Gonzaga, 60 cm of fiberglass, handmade in Italy. 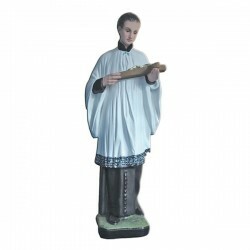 Statue of Saint Aloysius, 80 cm of fiberglass, handmade in Italy. 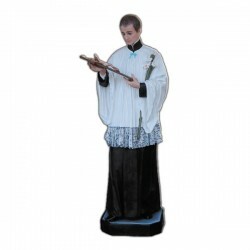 Statue of Saint Aloysius Gonzaga, 170 cm of fiberglass, handmade in Italy. Classic chalice of golden brass.